What's this colossal piece of computing kit that's just turned up? 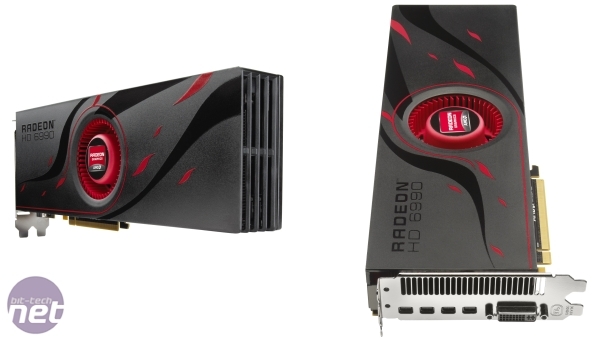 Why, it appears to be AMD's new Radeon HD 6990. At least, that's what it says in big letters on the front of the card. We can only speculate (actually we know; we just can't tell you yet), but it looks as though AMD's new top-end monster graphics card is getting achingly close to its launch date. So much so, in fact, that our review sample has already landed, ready to be thrashed in our test systems. As we reported in January, the Radeon HD 6990 has a total of five display outputs - one DVI port and four mini-DisplayPort outputs, and the cooler design looks very similar to the prototype we saw at the beginning of the year too. The rear panel looks very different to the Radeon HD 6970's backplate, though. For example, the rear vent stretches all the way along the panel, whereas the Radeon HD 6970's vent only runs half way down the backplate before making way for a DVI port. This makes sense, given that the card is rumoured to have two GPUs to cool. With all these connectors, it doesn't take a massive brain to work out that the graphics card will be able to drive five monitors, and support Eyefinity in 5x1 configurations too. AMD has also told us that EA's Dragon Age II will fully support both HD3D and Eyefinity 5x1 configurations in portrait mode. 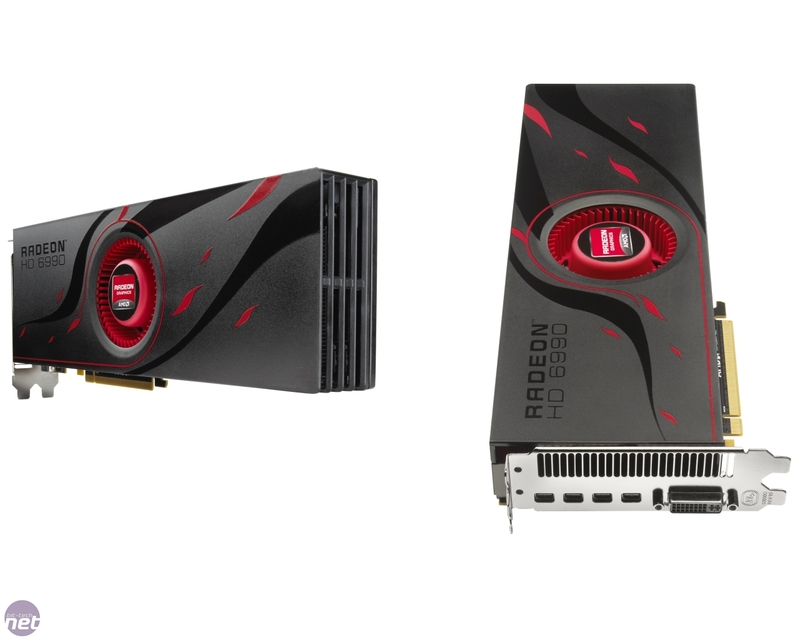 The Radeon HD 6990 certainly looks like a powerful piece of kit. Keep your eyes peeled over the next few weeks for our full review. Are you eagerly waiting for the Radeon HD 6990 to hit the shelves? Are you planning on investing in an Eyefinity setup in 2011? Let us know in the forums.